RaceTech Titanium has been developing several new parts for quads and now we are getting very close to releasing some of the new parts. 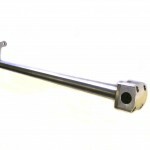 These new custom Titanium parts with include Titanium Swing Arms, steering stems, upper & lower a-arms, subframes, and more. 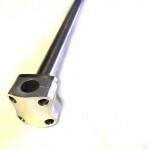 All of these custom parts will be available in + or – lengths. They will be abailable for the following models first with other makes/models added soon. 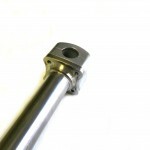 Here are some pictures of the new Banshee & Honda TRX Titanium steering stems. 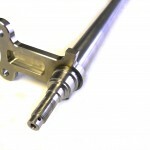 We are offering an introductory price of $400/stem until the end of April 2013. Call today to get yours. This entry was posted on Thursday, April 11th, 2013 at 9:55 pm and is filed under RaceTech News. You can follow any responses to this entry through the RSS 2.0 feed. You can leave a response, or trackback from your own site.